Amrut Mody School Of Management, Opp. 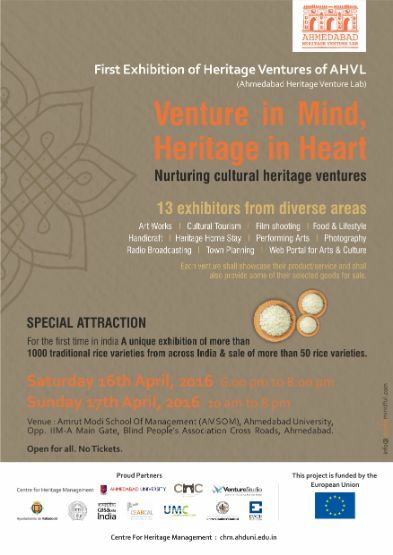 IIM Road, Blind People's Association, Ahmedabad. 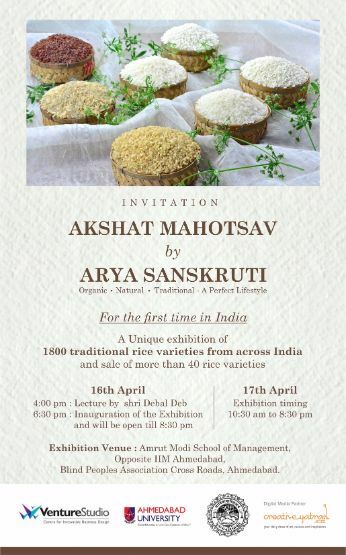 A unique exhibition to showcase 1800 traditional rice varieties being grown in India. This is unprecedented. 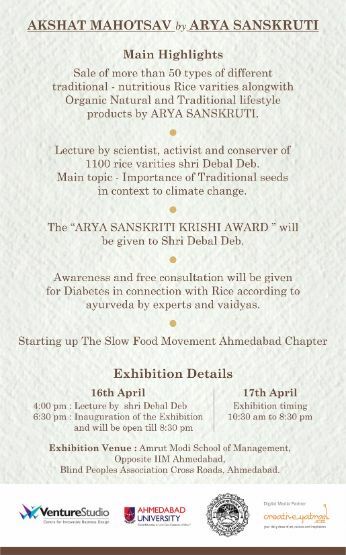 On 16th April, 2016 Talk by Shri Debal Deb, an eminent scientist, rice specialist, eco-activist and conservationist. Title of Talk : Need for Conserving Traditional Varieties of Rice in the context of Climate Change. A fantastic event to visit with family and friends. Students should specially visit.